Discussion in 'Everything Else Archive' started by Ampegasaur, Apr 30, 2016. 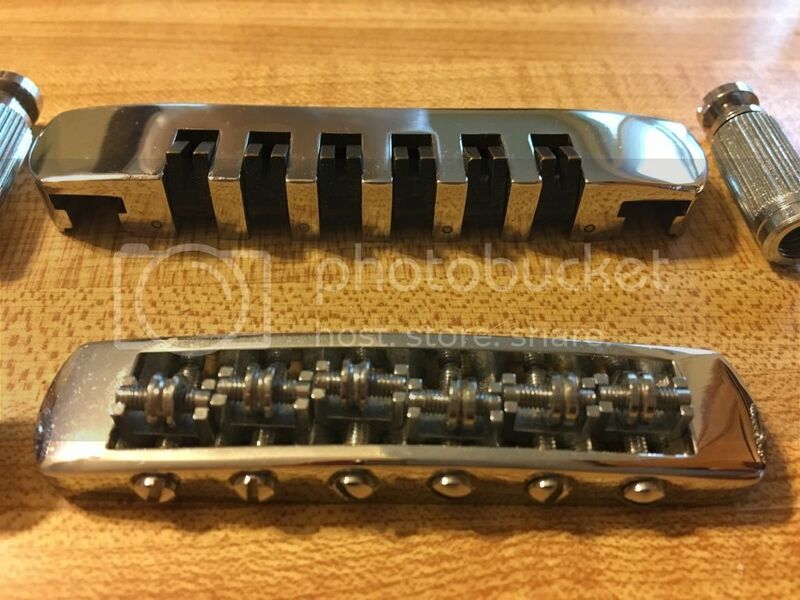 Schaller chrome tailpiece from my 1985 Heritage Les Paul. This is from the 80s, and in really good shape. In good shape for being 30 years old, and high quality. It is compatible with a Gibson, I replaced with Nashville bridge and tailpiece from a Gibson Les Paul Standard. 14" radius. 48 States only, no trades. Danville, CA. Always looking for Carlsbro amps! Cool stuff! Do you happen to know the radius of the bridge, and if both parts are compatible w/ Gibsons? 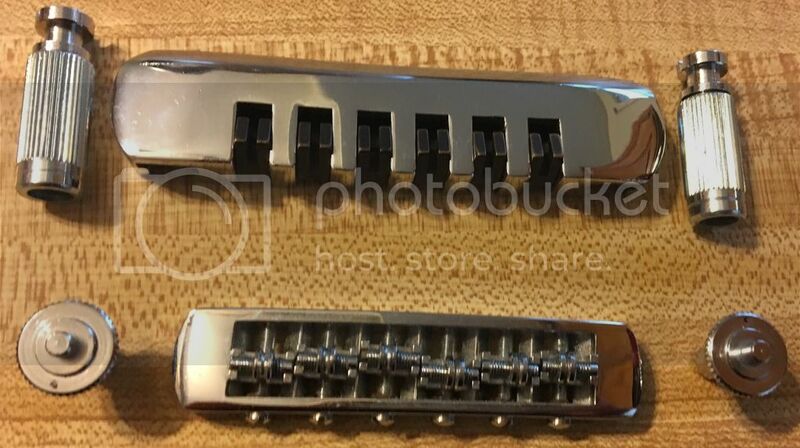 It is compatible, I replaced this with a Nashville bridge and tailpiece from a Gibson Les Paul Standard. 14" radius.